More than 50 children participated in the Christmas party of the parish council of Paul do Mar. The event was lived enthusiastically, particularly in the passage of Father Christmas through some of the small alleys of the village, towards the viewpoint, where he delivered the gifts. Moments before, the little girl had fun with the play that opened the festivities. The president of the parish council of Paul do Mar, Christian Democrat Paulo Sérgio Rodrigues, highlighted the singularity of this Christmas Party, to be held in the belvedere, in a scenario with the immensity of the sea as a backdrop. 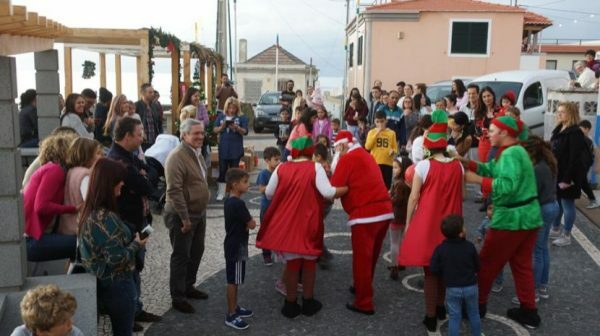 The leader of the CDS-PP, Rui Barreto, who has been one of the workers of this Christmas Party, was present and took the family to a meeting that brought together children and families. Another CDS official present was José Manuel Rodrigues.